Handmade by women fleeing domestic abuse at King's Home in Chelsea, Alabama these beautiful cross ornaments are perfect to hang on the Christmas tree, tie to a gift, or hang in your window. These precious, handmade crosses are pressed with lace to create unique and beautiful patterns, and are sure to make you and your loved ones smile! Click here to be notified by email when Handmade Cross Ornament becomes available. 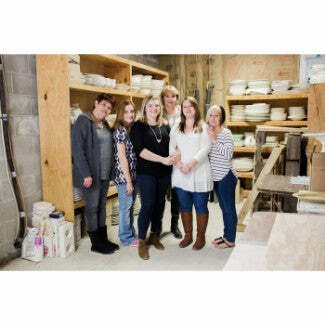 Your purchase of Prodigal Pottery today gives the gift of hope for both women and children at-risk in Alabama.